Francis B McGuinness died at his Hunters Hill home on 10 February 1969 and was buried in the Catholic Cemetery, Rookwood. Frank McGuinness served as a Trooper with the 6th Australian Light Horse. He might have been the Francis McGuinness, born in Drommore, Ireland, who enlisted at Rockhampton, Queensland, for the Second World War whose next of kin was his mother Mary McGuinness. Or the Francis McGuinness, born in Ireland on 14 June 1894 who enlisted on 15 December 1941 at Perth, Western Australia, next of kin Annie McGuinness. Frank McGuinness was Alderman for Cook Ward, 2 December 1918 to 31 December 1927. He was a member of the Health and By-Laws Committee, 1919-20 and 1925-27, and served as its Vice-Chairman in 1925. He was a member of the Electric Lighting Committee, 1919-20, the Electricity Supply Committee, 1921-24; and the Finance Committee, 1922-27. He was also a member and Vice-Chairman of the Health and By-Laws Committee, in 1921 and 1925. 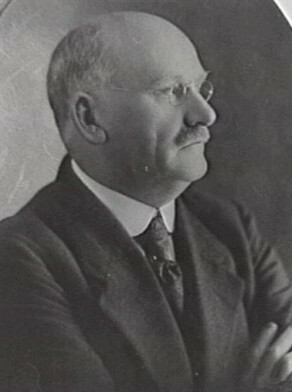 Francis McGuinness was Deputy Lord Mayor in 1926. City of Sydney Archives: Aldermen’s Files; Photos: CRS 54/94 and 54/157.